The perfect permanent solution for architects, designers, fabricators, builders & sheet users. The Essential clarity of Multi-wall Polycarbonate Sheeting can only be retained if care is taken to exclude all dust particles, insects & moisture. Contamination by dust and moisture will soon lead to the growth of unsightly algae and moulds. The best protection is the use of a quality breather tape which allows full ventilation of all sections and channels of the polycarbonate sheeting. 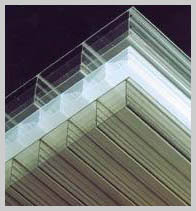 Many designs of polycarbonate sheeting are now available and more complex sections are being developed. However, FILTA-FLO will fit and fully ventilate all sizes and designs of sheets including those with very small internal sections. The unique composition of FILTA-FLO allows free ventilation through the entire cross section of the open ends of the sheet giving maximum breathabiliy. Only a flow of air can aid the dispersal of moisture which otherwise can condense inside the channels and eventually allow unsightly moulds to flourish. Site problems can sometimes result in water within the channels. With FILTA-FLO this can easily exit from the entire cross-section of the sheet end, without the potential water trap of partial filter designs. The filter material used is a high quality, non woven, point welded, tough fabric; this allows moisture and air to pass through, but acts as an effective dust barrier. The tape is made from exceptionally strong material which resists accidental site damage, with the added advantage of making the sheets safe and easy to handle. Breather tape is resistant to ultra violet light and has a life expectancy greater than 20 years when correctly fitted. Unlike cheap tapes the filter component is treated with a high quality fungicide to ensure continued effective filtration. 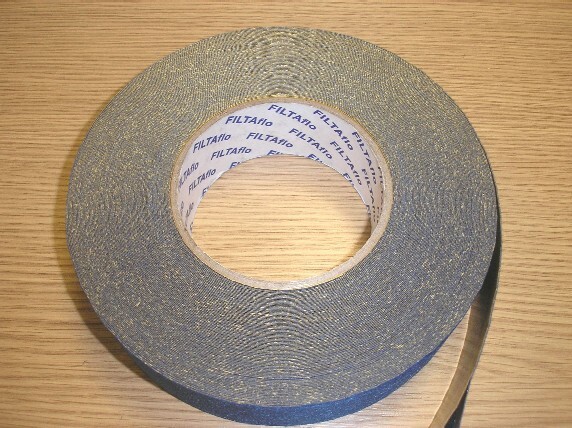 FILTA-FLO uses the very latest adhesive technology, developed especially for this tape. 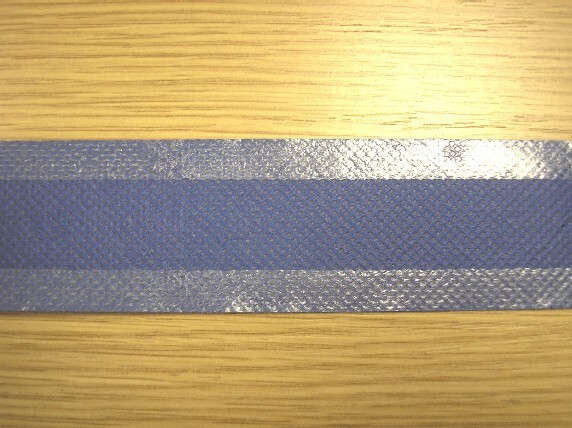 The adhesive is integrated with the fabric mesh and is impervious to water. The tape is quick and easy to apply with the capacity to initially reposition prior to full adhesion. 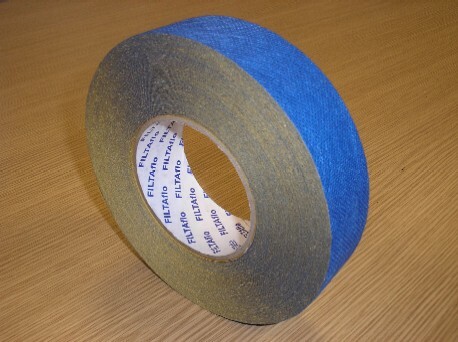 Blanking tape is available in all sizes to match Breather Tape.